Member of SAG, Helicopter Association International. 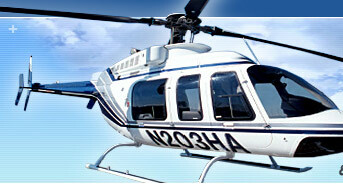 HeloAir has extensive aerial filming experience and a fleet of 7 Bell helicopters. HeloAir has both WESCAM and FLIR in house. Serving all of the East Coast. Credits: Discovery Channel; Subway; Mission Impossible 3; Commander in Chief; War of the Worlds; Racing Stripes; Ladder 49; Hannibal; 60 Minutes; Geico; Norfolk Southern: Turn; National Geogrpahic; NASA.